Before Christianity, pagans used to lite huge bonfires to celebrate feasts dedicated to their gods. Shepherds also lit bonfires to stay warm and scare away predators. When Christianity arrived in Spain the pagan tradition was embraced by lighting bonfires (luminarias) along the roads and churchyards to guide people to Midnight mass on the last day of Las Posadas on December 24. 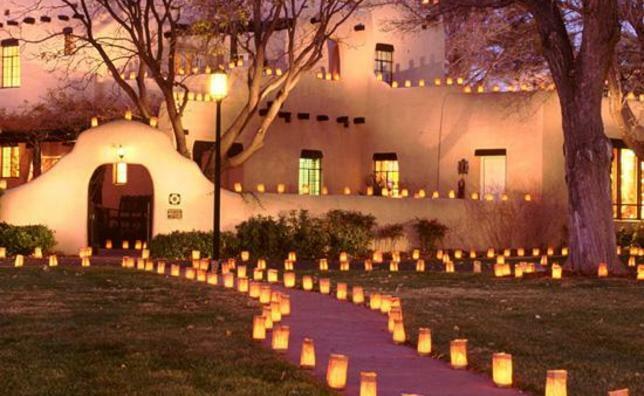 Las Posadas is the reenactment of the Holy Family search for lodging in Bethlehem before baby Jesus was born. Las Posadas is a nine-day celebration representing the nine months Jesus was in the womb and takes place from December 16 to December 24th. 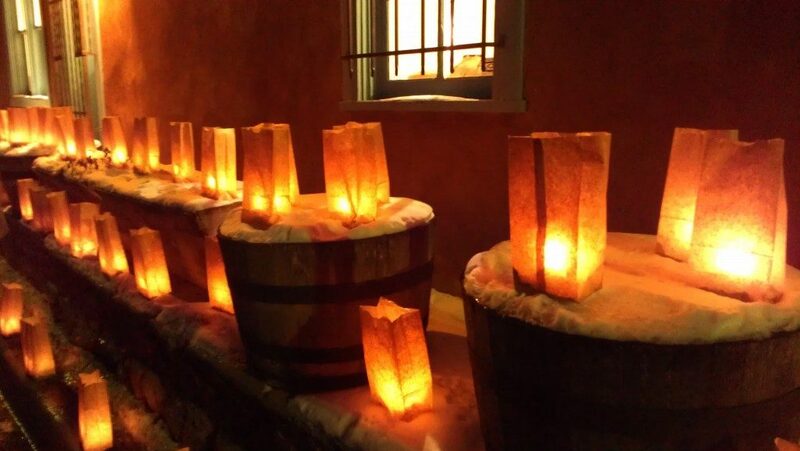 When Christianity was brought to Mexico by the Spaniard missionaries (19th century), luminarias (bonfires) came with them once again as a mean to guide believers to Midnight mass and to celebrate the birth of baby Jesus. Shortly thereafter as the Spanish Empire was expanding Chinese lanterns were introduced to Mexico and New Mexico, but they were expensive and fragile lasting only one season. When stronger paper bags arrived, farolitos (lit paper bags) became popular. They are used to light homes’ sidewalks, streets, and church yards. Bonfires otherwise known as luminarias disappeared. 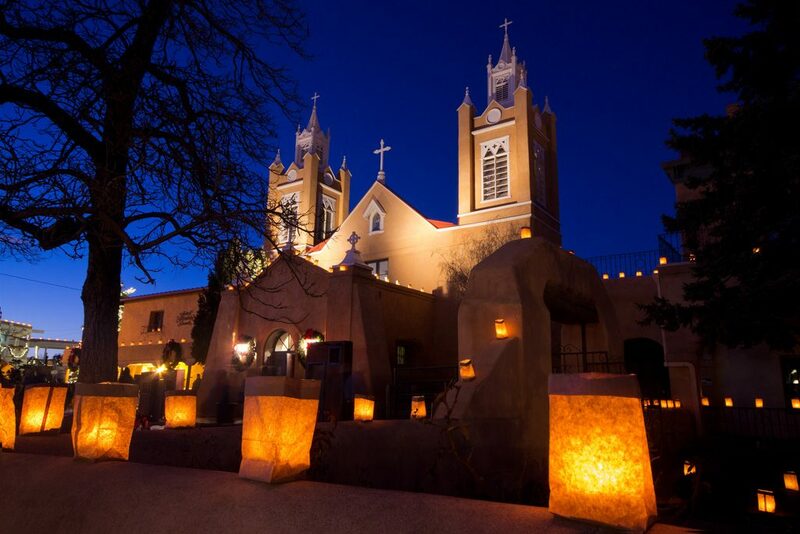 Today, whether you call them luminarias or farolitos, the lit paper bags can beeen in Santa Fe, New Mexico and much of the Southwest where farolitos line up streets, homes and churches to celebrate the birth of Christ child and to guide people to midnight Mass on December 24th. And I would add, to guide the Spirit of the Holiday, the LIGHT into our homes bringing Love, Peace, Joy and Blessings for the next year. Luminarias (or farolitos) may have been adopted by Christianity, however it is not unique to Christianity as LIGHT is a universal symbol of Good, Knowledge, Hope and Love.